eVoice vs Nextiva Who Has The Best Phone Service? eVoice vs Nextiva: Who Has The Best Phone Service? Are you in the market for reliable business phone service, but you’re feeling uninspired by what the traditional phone company has to offer? Fortunately, the rise in popularity of VoIP (voice over internet protocol) services like Nextiva and eVoice means there’s lots of options for entrepreneurs like you. This eVoice vs Nextiva comparison takes a look at the major commonalities and differences between these two major business phone services. Read on to discover which one is the right choice for you! Obviously, being in the same business phone service industry, there is plenty of overlap between what eVoice and Nextiva provide their customers. Let’s begin this comparison with a quick rundown of their common traits. Do you operate a sole proprietorship, which only requires a single phone number? Or perhaps you’re running a major corporation with hundreds of employees. Either way, Nextiva and eVoice provide service for companies big and small, and in any line of business. If you have questions or concerns, help is just a phone call away. Both eVoice and Nextiva have helpful and professional service representatives ready and waiting to answer your tough questions in an efficient manner. I like to read as much customer feedback as I can before making a major purchase. What better way is there to get an impression of what each company’s customer experience is like? Thankfully, both eVoice and Nextiva have plenty of customer reviews available online for you to peruse. The privacy of your calls is always a priority, and it’s nice to know that there’s no reason for concern with Nextiva or eVoice. Neither of these service providers has any history of security problems, and they’re generally as private and secure as the network you’re operating them on. I’m always a fan of “trying before you buy,” and both of these companies allow you to do just that. eVoice and Nextiva each offer 30-day trials that give you plenty of time to determine if their services are a good fit for your business. While they certainly do share plenty of similar qualities, there are also some rather major differences in the ways eVoice and Nextiva deliver business phone service. Depending on your personal priorities, these differences may swing your opinion one way or the other. eVoice includes between 300 and 4,000 minutes with your business phone service package, and additional minutes cost 3.9 cents each. 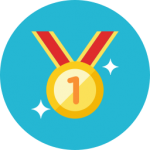 On the other hand, Nextiva provides every client with unlimited talk time. 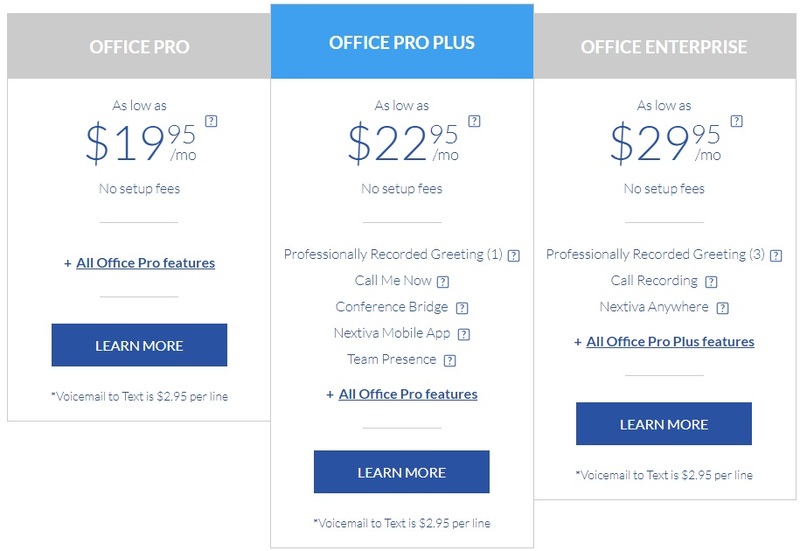 Nextiva’s pricing model is somewhat complex, with 12 potential price points, but for one user on a monthly contract they charge at least $34.95. eVoice’s basic service package costs just $12.99/month, so there’s clearly the potential for savings here. 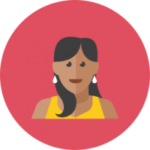 In addition, Nextiva has per user pricing, which means you’ll need to pay an additional charge for each employee you want to have an extension. As for eVoice, they structure things a bit differently. 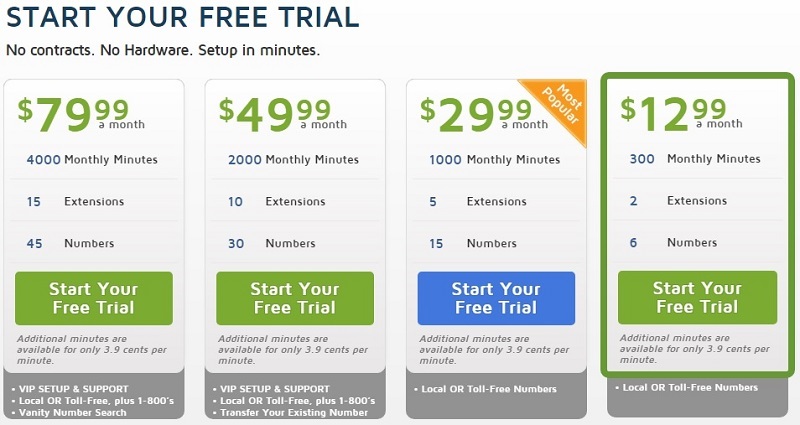 Their basic $12.99 package accommodates up to 8 users (6 numbers, 2 extensions), while their top-tier $79.99 package can handle up to 60 users (45 numbers, 15 extensions). eVoice offers a customized, professionally recorded greeting for all customers, which is a feature Nextiva does not include in their base package. Nextiva has some features of their own that eVoice can’t match though, like their popular Skype integration. While they both have plenty of reviews available, the content and quality of feedback is a major differentiating factor. Nextiva’s 200+ reviews are almost entirely positive, but eVoice doesn’t have much positive feedback in their 50+ reviews. As I mentioned earlier, Nextiva has quite a few price points in their pricing model, and to get a look at all of the possibilities, I invite you to take a look at our full Nextiva review. As an example though, a sole proprietorship in a monthly contract has an entry-level cost of $34.95, whereas a company with over 100 employees and a 36-month agreement can pay as little as $19.95 per user per month. eVoice has 4 flat rates for business phone service, ranging from $12.99/month to $79.99/month. The base package allows up to 8 users, while the top of the line service plan accommodates up to 60. Take a quick look at how they advertise these options on their own site, then we’ll discuss a few more details. I take customer reviews seriously, and I think most people would agree with me on that. It really is the best way to find out how other entrepreneurs like you feel about the products and services they invest their hard-earned money into. Customer feedback is a vastly different story for eVoice and Nextiva. It’s a big pro for Nextiva, as they have over 200 reviews available online and nearly all of them are positive in nature. Their customers frequently comment on the high quality of their customer support, and also the clear consistent calls. As for eVoice, it’s a different story. They have 50+ reviews across the web, and almost every one of them is negative. Their customer service does not have a good reputation among these clients, and I also found quite a few complaints about billing issues. Furthermore, their parent company j2 Global has one positive review on BBB.org, against 29 critical reviews and 577 other complaints filed. At the end of the day, Nextiva and eVoice are both reliable and trustworthy options for business phone service. They both provide strong services, while also saving you a considerable amount of money compared to obtaining traditional phone service from the telephone company. My personal preference still goes to Nextiva though. In my opinion, the combination of unlimited minutes and excellent customer reviews make them the better option in most cases. Keep in mind that if you need to know more about these services, you can take a look at our full reviews on eVoice and Nextiva.